Modern design with an intuitive touch menu are the main features of all the COMfortel system phone series. Power consumption 0.9 W min., 1.7 W max. 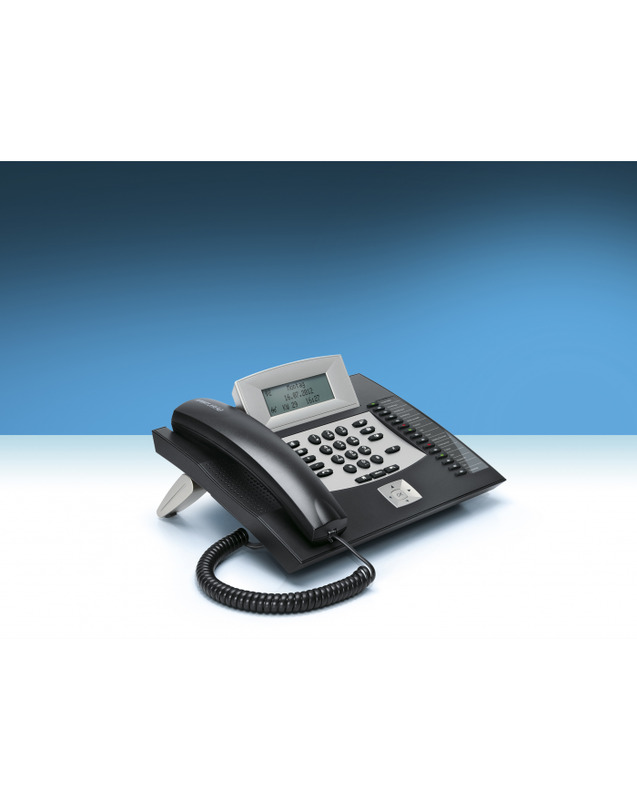 Why should a modern ISDN system phone have to depend on softkeys to use the display? The all-new COMfortel 1600 proves that progress is unstoppable. Its illuminated touch display ensures easiest control: in addition to keys and control pad, the display awaits your commands to activate functions directly. Superior ergonomics also governed the design: the attractive two-tone cabinet features large tilt feet so that perfect visibility and operating angle are always ensured. Wherever demands on an ISDN system phone are high, e.g. 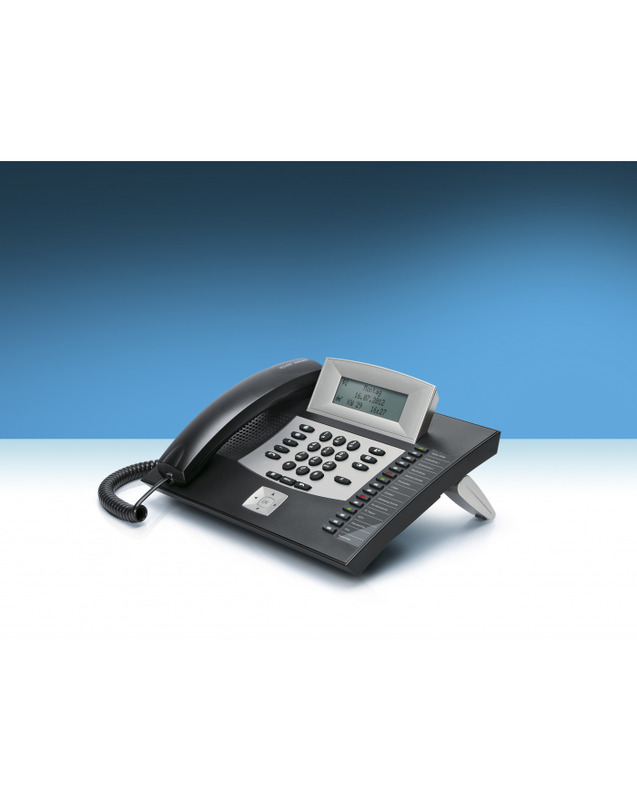 in a hotel, a doctor’s practice or a large family, the COMfortel 1600 adds to the phoning comfort with its many useful functions, such as intelligent menu guidance and an internal phonebook which stores 1.600 phone numbers – immediately accessible, just like the additional numbers in your telephone system’s phonebook. Optimum acoustic properties are guaranteed by high-quality audio components. 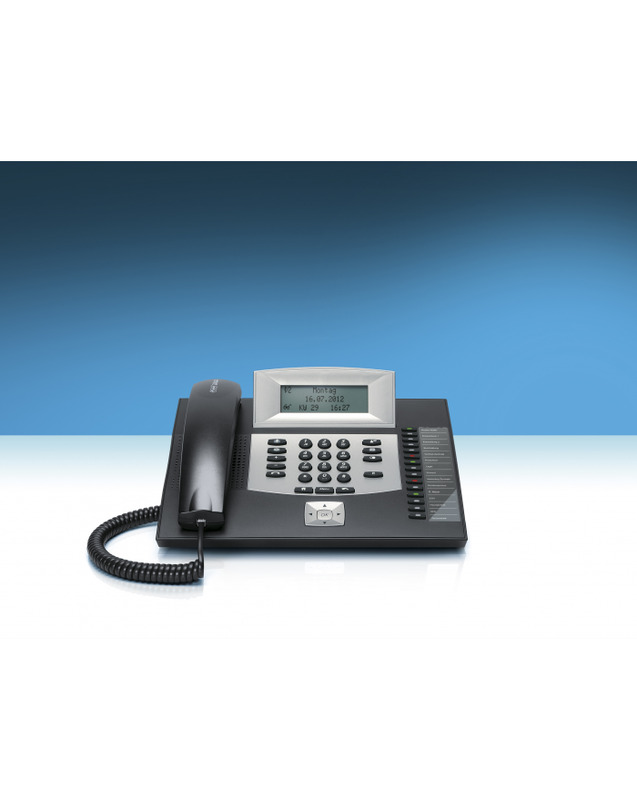 The touch display introduces a whole new level of operating comfort – whether you want to quickly control the telephone system from your desk or simply enjoy a state-of-the-art ISDN phone. Even in a private environment, the new COMfortel 1600 convinces by its monochrome graphic touch display (which can be changed to inverse presentation) and individually programmable function keys. It’s fun, and it makes controlling so much more intuitive! And once you connect the phone to a telephone system from FONtevo, you can count on an important detail which we’ve developed ourselves: It automatically detects whether it’s a 4-wire or 2-wire line. And since this connection also takes care of the power supply, you won’t need a separate power pack. The energy-saving measures are also outstanding: thanks to LEDs and an intelligent power management which e.g. automatically switches off the display lighting, power consumption is kept at an all-time low.